In addition to working on the stage, Ian is also a talented voice actor. He began his voice over/narration production business in 2015 with the award-winning audiobook, The Zee Brothers: Zombie Exterminators: Curse of the Zombie Omelet! 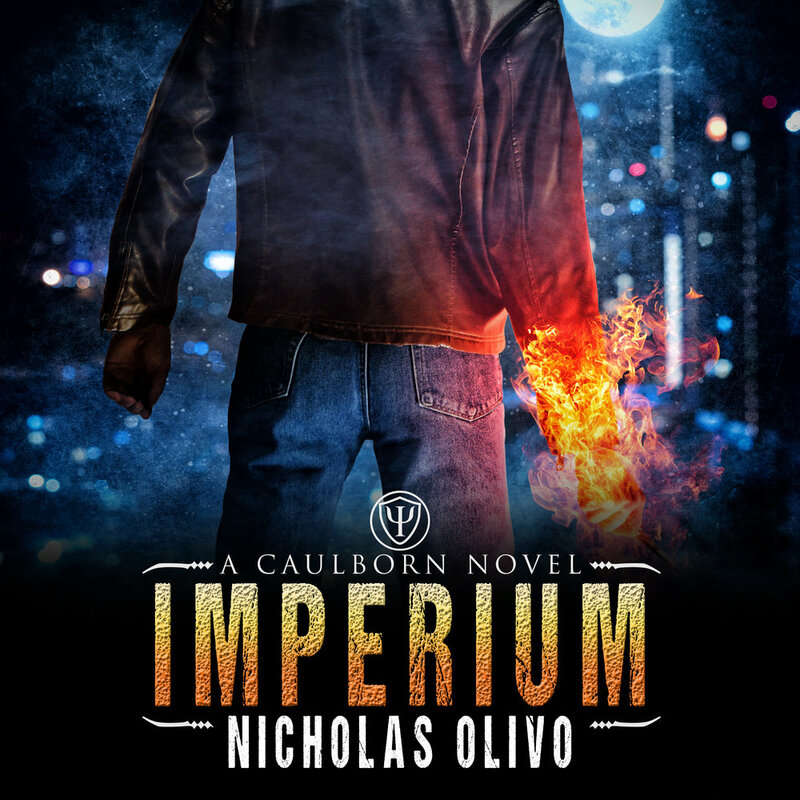 Since then, he has lent his voice and production talents to the popular urban fantasy series, Caulborn, by Nicholas Olivo; the Steel City Heroes series by L.E. Barbant and C.M. Raymond; as well as The Rise of the Fifth Order, by Autumn M. Birt. After voicing Luke Kondor's macabre, dark-comedy, sci-fi hybrid The Hipster from Outer-Space, he became a regular narrator on Hawk & Cleaver's hit podcast, The Other Stories. With tension and danger running high, each begins to wonder: Will they survive the pirates...and each other? Check out my other recent releases! Talia has a secret that will save her world or rip it apart. Scientist Talia Zaryn has always dreamt of an alien invasion and her own death. She's kept it secret, hoping it is nothing more than childish nightmares. However, when the face in the mirror matches that of her dreams, she fears she's out of time. Talia's work at the Space Exploration Foundation leaves no time for relationships, but Landry Sutton isn't looking for a friend. He's looking for a traitor. His ability to sense emotions convinces him Talia is the traitor until a touch sizzles between them. In an instant, their minds are connected telepathically. Together they must uncover the secrets of Sendek's past if they hope to defeat the terrifying creatures descending on their world. Talia is the key - if she can learn to trust the magic coursing through her veins. As Vincent squares off against Treggen one last time, prophecies will be fulfilled, former allies will betray Vincent, and the Caulborn agency itself will turn on him. With only a few of his friends to rely on, and most of his powers gone, Vincent will have to be more than just clever - he’ll need to be courageous. USA Today best-selling author Craig A. Price, Jr., presents The Crimson Claymore, book one of the Claymore of Calthoria trilogy. Vatar risked his life to try to save his friend - and failed. Now he has an implacable enemy in the vengeful shaman, who blames Vatar for the death of his only son. In his isolation, Vatar finds some comfort in daydreams. He knows the strange girl he sometimes imagines is just that - a dream. She'd better be. Vatar's people thinktcity magic is evil. If the shaman ever found out, it could be the weapon he needs to destroy Vatar. And yet, finding a way to accept the other side of his heritage may be the only way Vatar can ultimately defeat his enemy. Vincent Corinthos has two things going for him: he’s a top operative of a secret agency tasked with handling paranormal threats, and he’s half-god. Normally that’s a combo that leaves him well-equipped to handle any problems that come his way. Until now. An ancient space being called Moomamu has awoken on Earth and wants nothing more than to get back to his home in the stars. Taking the advice of his cat, Gary, he makes his way up t'north to meet the Tall-One-With-Insight. As he journeys across a land of underground trains, cappuccinos, and a man obsessed with killing him, he soon learns that being on Earth is a symptom of a bigger problem, and going home just might destroy the planet. Be warned: contains graphic violence, swearing, and the protagonist is a bit of a git. When Ryder dies in a horrific motorbike accident, he's left facing a choice. Go onto his next life, more terrible than his last, or become a Reaper. Ryder's life has little meaning to him. A violent hedonist who left his broken childhood behind, he would rather spend his time chasing women and smashing up bars than consider his future. But when it all comes to an abrupt end, he's forced to make a decision that changes everything. Will Ryder finally gain his redemption? The Catalyst is Daredevil meets The Dresden Files, a gritty and gripping superhero/urban fantasy story for the 21st century. Audiobooks 1 and 2 available now! If you like Ash vs Evil Dead, Army of Darkness, and Scooby Doo, you'll want to buy this action-packed romp and dive into the Zee Brothers' adventures today! Want free audiobooks? Become a patron!